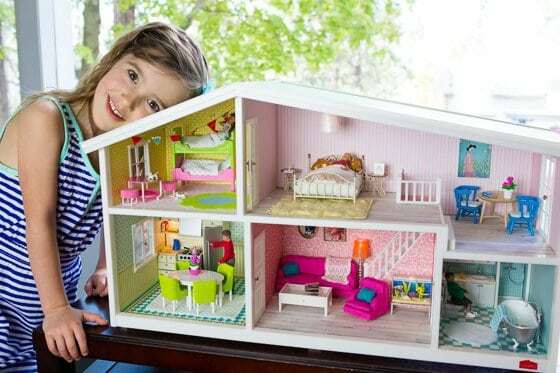 A classic, well-made dollhouse is something that every little girl should enjoy the privilege of growing up with. 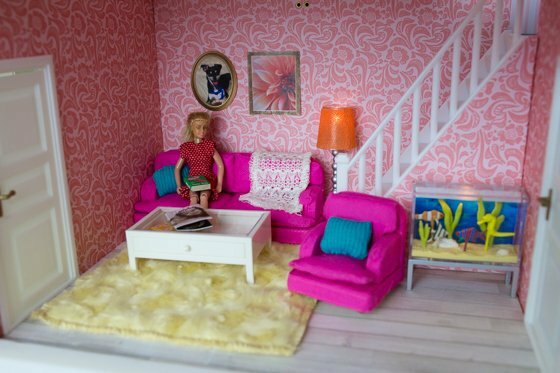 From tiny, detailed furniture to little lamps that actually light up, Lundby’s houses and accessories are the epitome of dollhouse perfection. And now, you can easily take any Lundby dollhouse and make it your own from the wallpaper to customized framed photos on the walls. 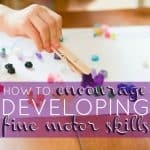 Create something for you and your young one to cherish and pass on through the years. 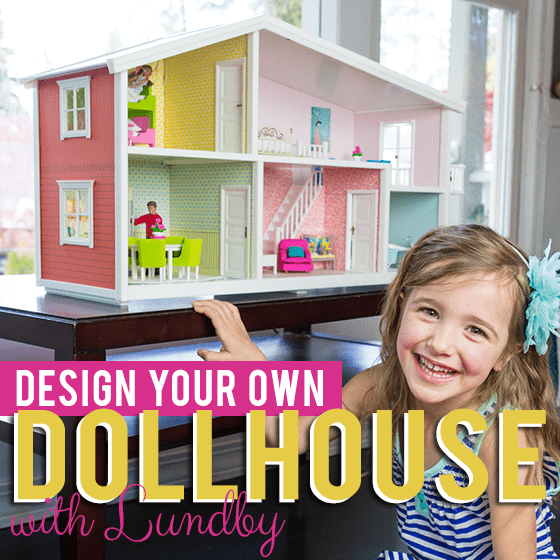 Ready to Design Your Own Dollhouse With Lundby? 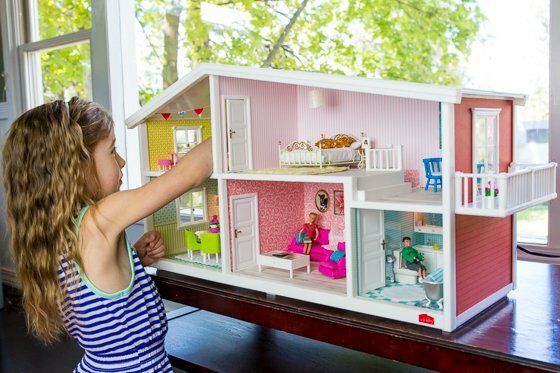 Lundby’s Smaland Dollhouse is pretty wonderful straight out of the box with its brightly colored wallpaper, realistic flooring (including real carpet in the bedroom! ), and doors and windows that open and close. Not to mention the tiny little electrical outlets that you can actually plug miniature lamps and light-up furniture into! 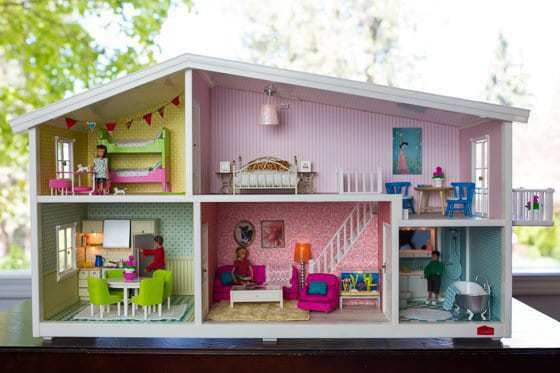 However, something that really makes these Swedish dollhouses stand out is the ability to easily change out the wallpaper and add your own special touches through Lundby’s website. Changing out the wallpaper in your Lundby dollhouse is as easy as visiting Lundby.com, selecting the wallpaper of your choice and the room you want to re-do, and then printing, cutting and gluing. 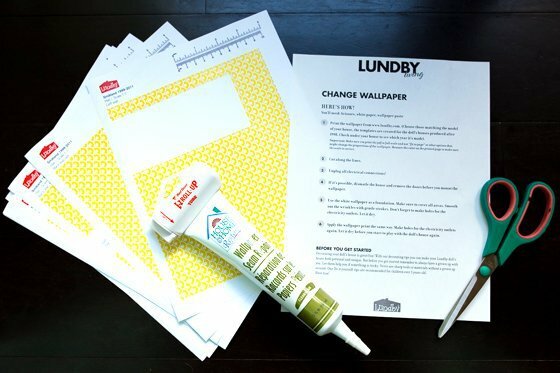 Follow Lundby's complete directions for applying wallpaper. 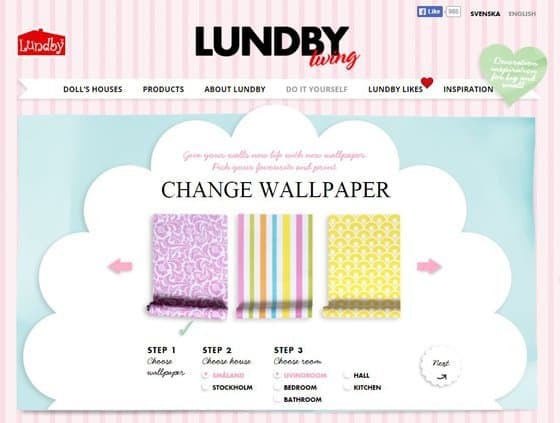 If you are buying your Lundby Dollhouse brand new, change out the wallpaper before putting the house together. Otherwise, dismantle the room you are switching up before applying the new paper for an easier, more seamless application. 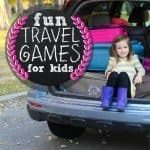 Don't let kids do this alone! This is definitely something that is best done with an adult's guidance and supervision. 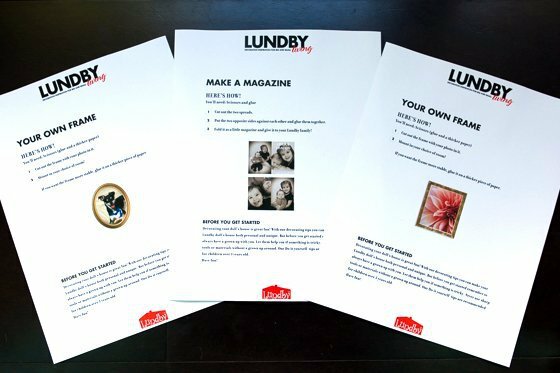 Another easy option for adding your own touch to your Lundby dollhouse is by printing out your own “framed” photos or creating your very own mini magazine for your dolls to read. 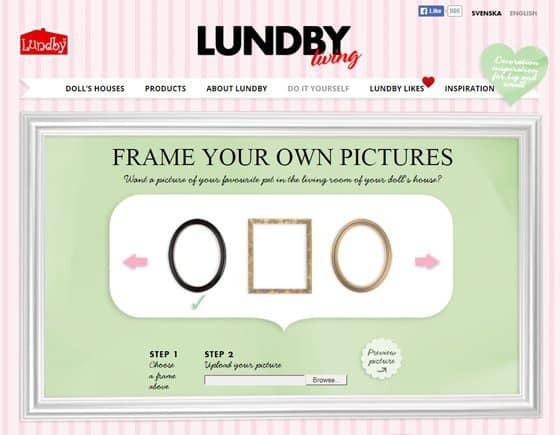 Once again, creating your own framed photos is as easy as uploading a photo on Lundby’s website and selecting the frame of your choice. 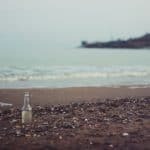 After that you can easily print, cut it out, and adhere directly to the wall or onto a piece of cardboard first to make it stand out a little. CLICK HERE to create your own framed photos. 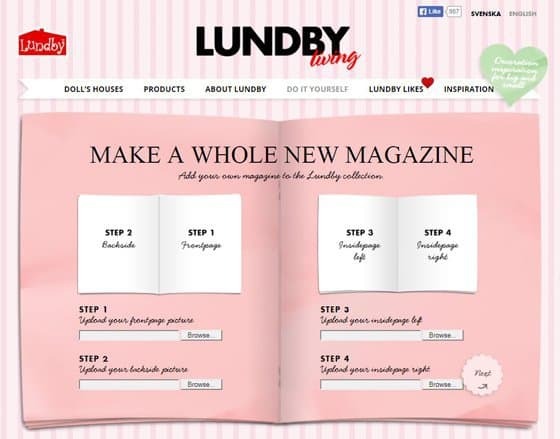 Making a mini-magazine takes all of 2 minutes to upload four photos to Lundby’s website, add some cover text, and print it out. Once printed, some scissors and glue is all you need. CLICK HERE to create your very own miniature magazine. Cut 1 inch pieces of tape and fold them in half over the string, spacing them out as you wish. Once your banner is the length of your choice, cut the pieces of tape into triangles. 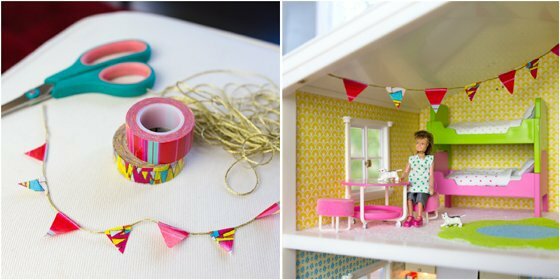 Leave an inch or two of string at the ends to tape your banner up in your dollhouse. 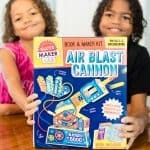 There are a lot of other great decorating tips on Lundby.com! 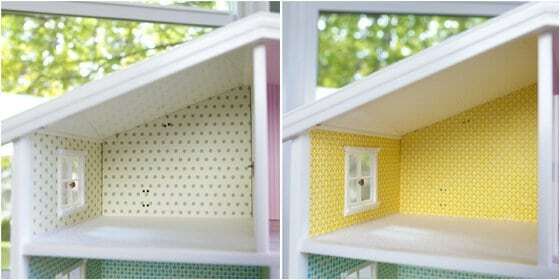 We love this idea for adding some real plant life to your dollhouse and these easy (and tiny!) 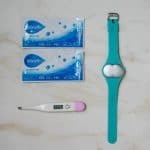 hot pads. 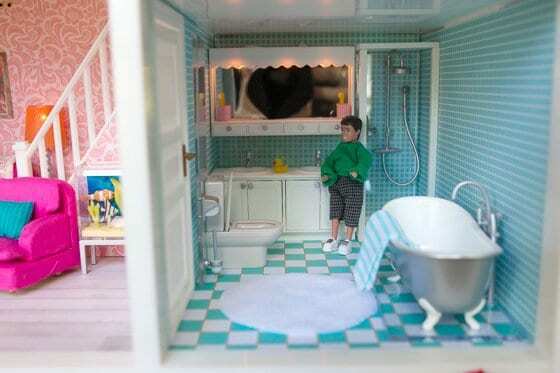 One of the best things about Lundby is the attention to detail that they put into all of the furnishings for their dollhouses. 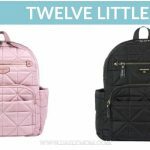 From teeny-tiny little pots and pans in the kitchen to fluffy shag carpets to fish tanks that actually light up, it’s these little touches that make it so special for children to play with.